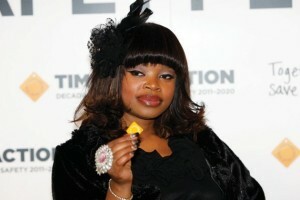 Last Sunday was a very special day for Zoleka Mandela. It marked exactly three years of sobriety after a decade-long struggle with drug and alcohol addiction. Today, Zindzi Mandela’s daughter, a granddaughter of Madiba and Winnie Madikizela-Mandela, has a message for women who feel down and out or those who feel trapped by their old, bad decisions: it’s never too late to change. She is in the process of penning an autobiography that will echo these sentiments. At just 33, she has had to overcome a great deal. But her life is proof that even having an iconic name that is celebrated the world over does not shield one from life’s pitfalls and tragedies. While the rest of the country was basking in the glory of the 2010 World Cup, Zoleka was burying her daughter Zenani, who was killed in a car accident after attending a tournament on the eve of the soccer spectacle. Soon afterwards, Zoleka fell pregnant with a baby boy, fathered by former 7de Laan actor Sekoati Tsubane. But baby Zenawe was born premature and died a few days later. He was buried a year after his sister. If that was not enough, breast cancer also waged its own war on Mandela’s body. She fought back and today is free of the disease. 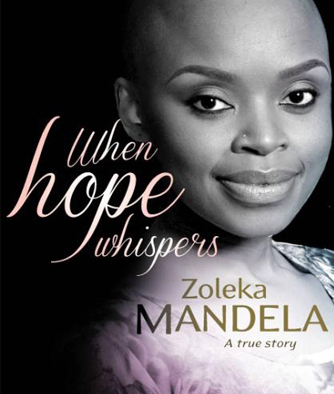 Speaking to City Press during a road-safety awareness programme named after Zenani and held in KwaZulu-Natal earlier this month, Zoleka said her book’s main focus will be on breast cancer. But it will also speak to “other very pivotal points in my life”, she says. “I have a social responsibility. I know my pain is a source of inspiration. I was diagnosed with breast cancer and it is something I’m very passionate about. Asked if the pain of losing a child eases with time, she said: “Obviously I get this a lot. ‘Zoleka how are you coping with this?’ And ‘Zoleka are you dealing with it?’ and I never know what the answer is. Zoleka has one surviving child but “hopefully seven on the way”, she told City Press, laughing. “You have to make that choice to want to improve yourself, so that you can be a better person for your kids, your family and to your society,” she said.